It's feeling a lot more like Spring around these parts, and the temperatures are rising here in Phoenix! What Easter plans do you all have for this weekend? Adam is out of town visiting family back East, so I've been doing a lot of running errands and cleaning (and blogging, of course)! I am really excited for the warmer weather, and even more eager for summer. There is something you should all know about Phoenix in the summer time: locals love the summer. Why? Because that means less tourists! The city can get really crowded--and being that I live in a place that is so warm all year round, it attracts a lot of out-of-towners (which is what us Phoenicians lovingly call "snow birds"). But once the temperatures start to rise, I know that my town will quiet down a lot and make things like even going to Starbucks or the grocery store significantly easier. And with easier day-to-day comes relaxing, and for me there is nothing I love more than relaxing outside in the shade with something cool and refreshing to drink! Today, I whipped up what I decided to call "Spring Skies Spritzer!" 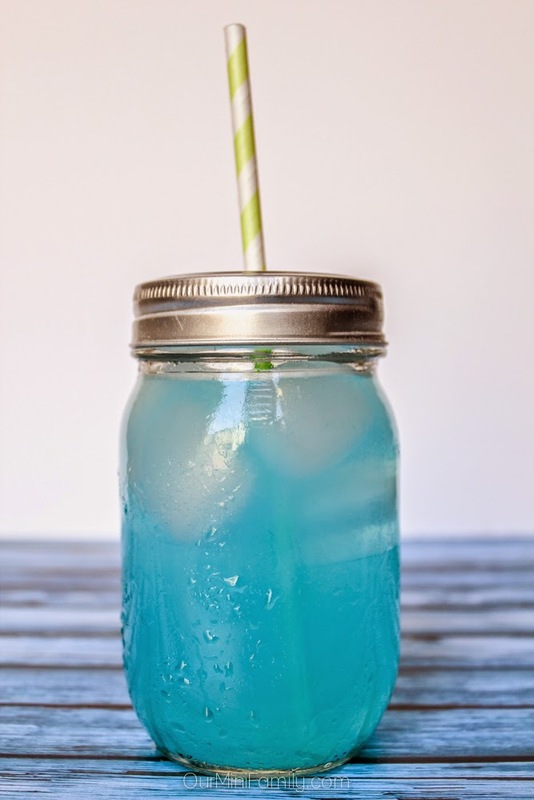 It's an awesome lemonade spritzer drink, with a gorgeous blue color. Directions: Pour 1 1/2 tablespoons of Country Time Lemonade Starter (Classic Lemonade) into a mason jar glass. To make it a spritzer, add in 2 teaspoons of club soda. Add cold water to fill to about 8 fl oz and stir, and then add in 6-8 drops of blue food coloring( until you have achieved your desired color). Add in fun ice cubes and even lemon slices as an added garnish. Why are you excited for Spring? Disclaimer: This post contains affiliate links. I received these ice cubes trays in exchange for an honest review on Amazon. I received no further compensation. Such a refreshing drink perfect for the upcoming warmer weather! Yes I am excited for the yummy, summer drinks for sure! This sounds delicious! Love the bright blue color as well. This looks perfect for an afternoon out by the pool! So refreshing! that looks so pretty and refreshing too! I bet its so delicious!! I love cold drinks!! Yes it was very refreshing for sure! That looks so refreshing! On a side note, I love drinking out of mason jars! Yay!! 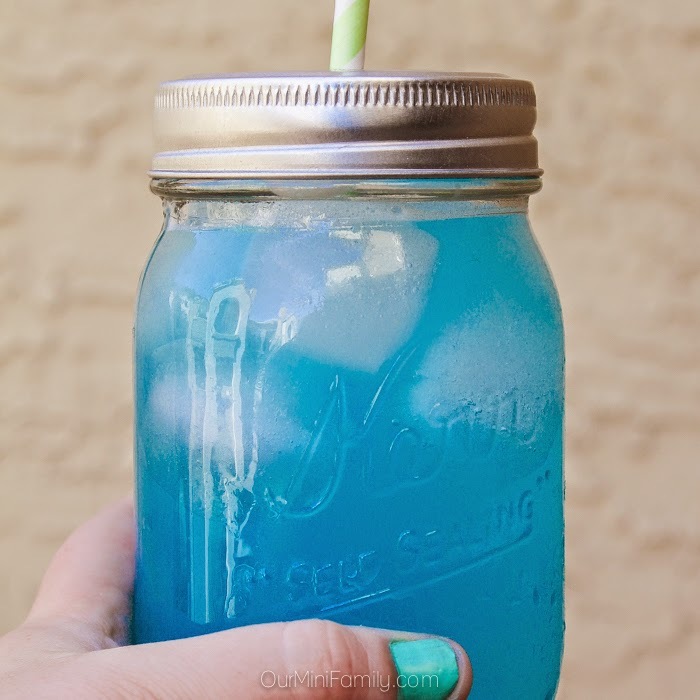 I adore drinking out of mason jars, too! Glad you like my drink too! 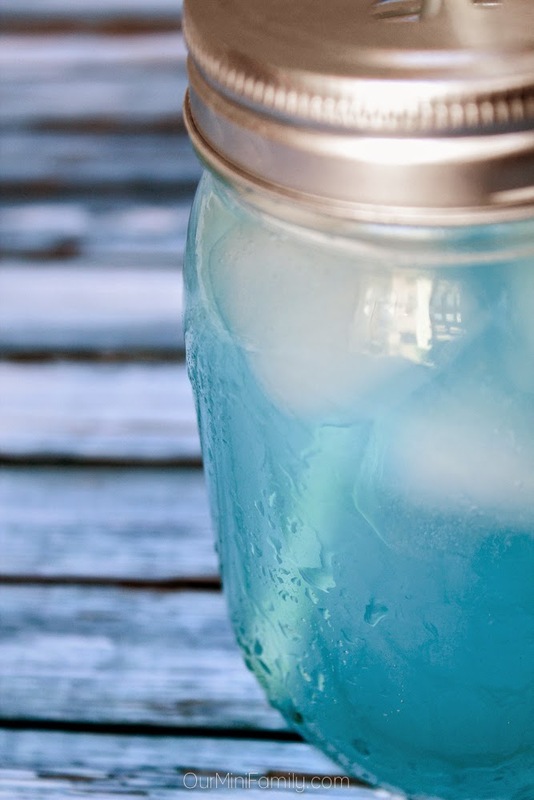 These look refreshing and I love the mason jars! Mason jars are my favorite!